Oil On Canvas Board. 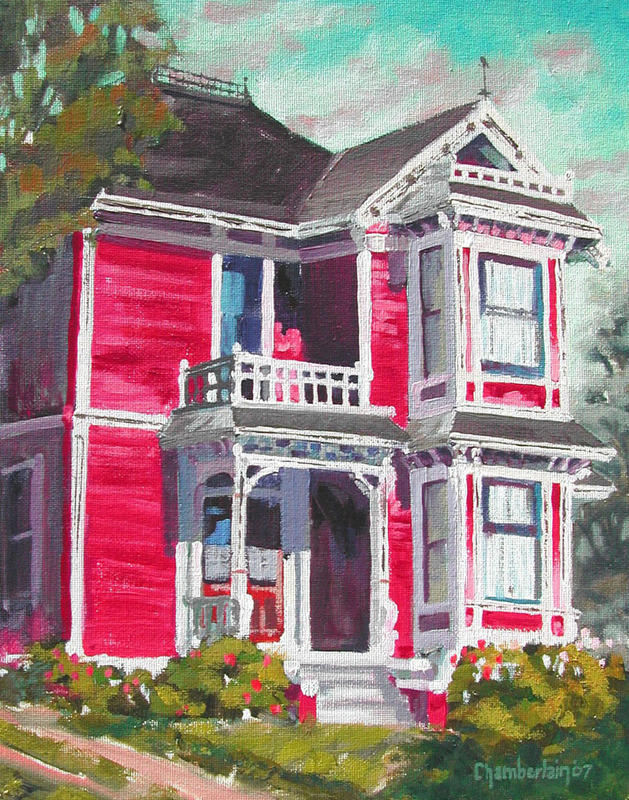 This bright red Victorian lady, as seen in the "Charmed" tv show and sitting on Collins Avenue in LA, was too great to pass-up painting. Private collection, Idaho.